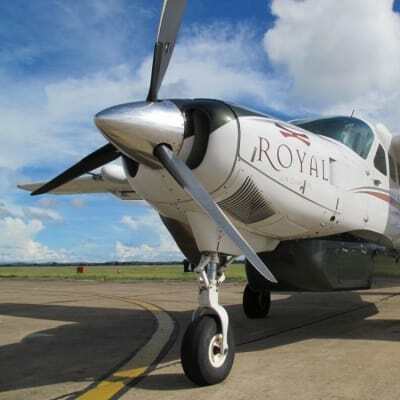 Royal Air Charters offers reliable and affordable flights throughout Zambia. The company ensures the highest level of safety as well as delivering excellent customer services. Royal Air Charters don't sell individual tickets, choose your destination, choose your aircraft and charter an entire aircraft. With daily flights between Lusaka and Addis Ababa, Ethiopian Airlines also has three weekly flights to Ndola - Tuesday, Thursday and Sunday. Passengers in Ndola will find convenient connection to destinations in Ethiopian wide route network such as Mumbai, Dubai, London, Hong Kong, Bangkok, Cairo and Peking. TAAG Angola Airlines is currently operating in 18 destinations in Angola and 16 international destinations in South America, Europe, Asia and Africa. Passengers have a choice to fly first, business and economy class. With an excellent cargo service, you can trust the airline for quick and safe transportation of cargo to the different destinations. The airline's most popular connection for one stop flights between Dubai, United Arab Emirates and Lusaka, Zambia is Nairobi, Kenya at the Jomo Kenyatta International airport. The average flying time for a direct flight from Dubai to Lusaka is 7 hours 10 minutes. Enjoy your Emirates experience world class in every class. With a vision to be the Pride of Africa, by inspiring their people and delighting their guests consistently. Kenya Airways continues to contribute to the sustainable development of Africa. The goals are to offer a standard of service that seeks to enhance guest experience and to offer the best value. Based in Waterside near its main hub at London Heathrow Airport, British Airways is the flag carrier airline of the United Kingdom. It is the largest airline based on fleet size, international flights and destinations. Measured by passengers carried it is second-largest in Britain. The airline flies weekly to Livingstone from Johannesburg. Wilderness Air operates a varied fleet of light aircraft, chosen for their ability to transport visitors to remote wilderness destinations with short, dirt-surfaced landing strips. Each aircraft is unique and suited for different types of journeys, varying group sizes and clients with different personal needs. The airline also offers charter flights. 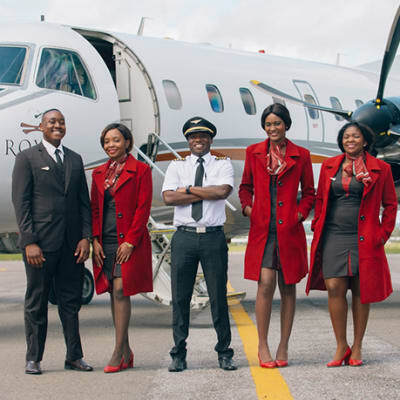 Proflight Zambia was established in 1991 and is Zambia's leading scheduled airline. From its base in Lusaka its domestic routes include, Livingstone, Mfuwe, Lower Zambezi, Ndola, Solwezi and Kasama, and regional routes to Lilongwe in Malawi, and Lubumbashi. It adds Kafue National Park and Kitwe to its routes from July 1, 2015. Interair South Africa is one of South Africa's successful privately owned airlines. 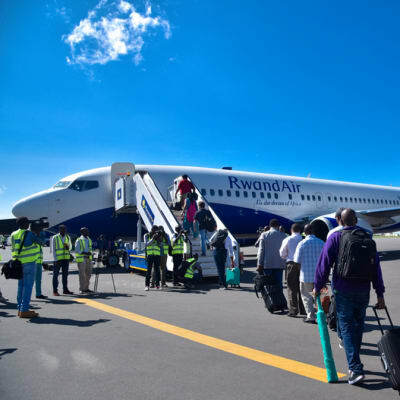 The company, a member of the International Air Transport Association (I.A.T.A),and the African Airlines Association (AFRAA) has established itself as one of the major regional carriers. Interair is headquartered in Johannesburg, South Africa. Malawian Airlines is the flag carrier airline of Malawi based in Lilongwe with its hub at Kamuzu Internatonal Airport. It was established in 2012 after the liquidation of Air Malawi, the former national airline. Ethiopian Airlines operates it under a management contract and owns 49% of the airline after it emerged as the bid winner. Your journey is just as important as getting there. That's why KLM Royal Dutch Airlines does its very best to make your trip an inspired one, whichever class you travel. Enjoy a delicious meal prepared by top chefs on board your KLM flight. The latest box office hits, brilliant music, powerful drama, exotic nature documentaries. Air Botswana is committed to providing value for customers and stakeholders by providing reliable air transport, and related services. Their fleet currently comprises of three ATR42-500 and one ATR72-500 turbopropeller aircraft and two Avro RJ85 jets. All aircrafts are well maintained by a team of experienced technical personnel. Air Namibia enables its international passengers to reach many destinations within Southern Africa with ease. Whether you final destination is Namibia, South Africa, Botswana, Ghana, Zimbabwe, Zambia or Angola, Air Namibia serves as a gateway to all via its home base - Windhoek. They offer warm hospitality, luxury airport lounges, in-flight menus created by renowned chefs and a world-class travel experience. South African Airways offer a variety of fare options to suit individual tastes and budgets. In January 2011, they launched non-stop flights between Johannesburg and New York.